Are You Choosing the Right Countertop Surface? With so many countertop surface choices, how do you know which is the best fit for your projects? Each one has different advantages, which can make it challenging to know which one you need. Learn the 7 do’s and don’ts for commercial countertop selection to get the best look, feel, and fit for each of your projects. Sanitization level - important for hospitals! With a little knowledge, make the best choice for your commercial countertops! 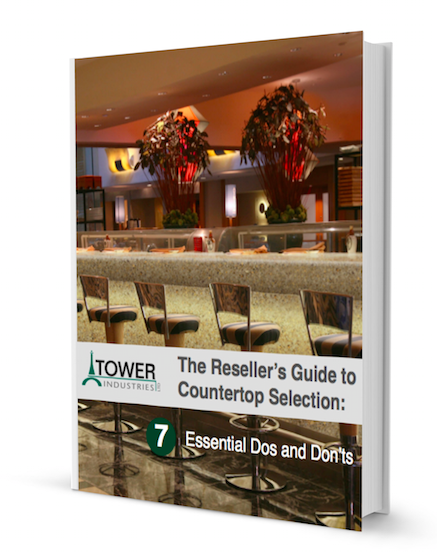 Fill out the form on the right, and download the free guide: The Reseller's Guide to Countertop Selection: 7 Essential Dos and Don'ts right now!